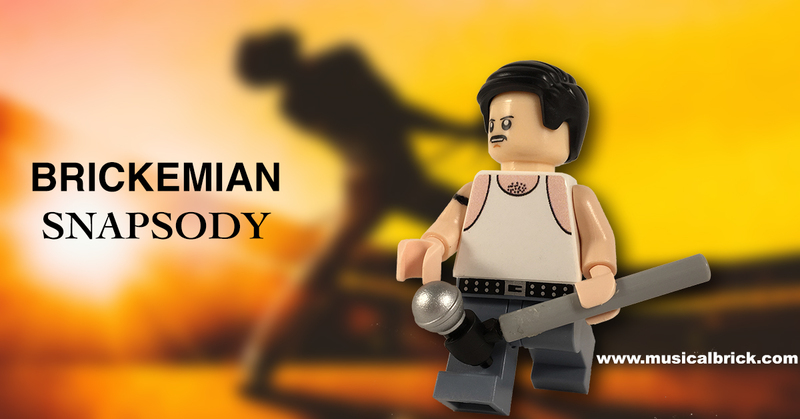 Officially Freddie Mercury currently only exists as an official Lego Mini-figure in the LEGO Rock Band computer game. 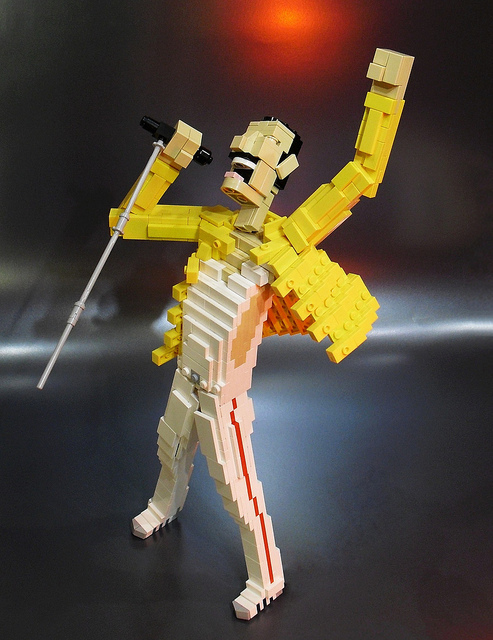 So unfortunately Queen have never existed in physical form, or appeared in any official LEGO sets. 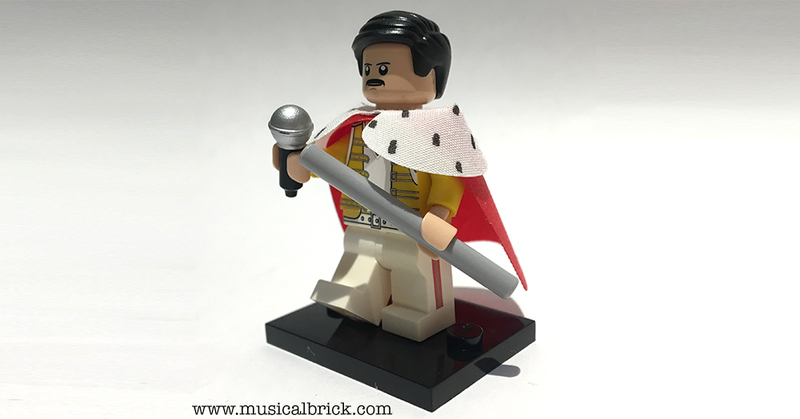 Also appearing in the game as LEGO mini figures are; guitarist Brian May, bassist John Deacon and drummer Roger Taylor. They can be seen playing We Will Rock You and We Are The Champions. More songs can be downloaded including; Killer Queen, Somebody to Love, Fat Bottomed Girls and the Queen/David Bowie collaboration Under Pressure. 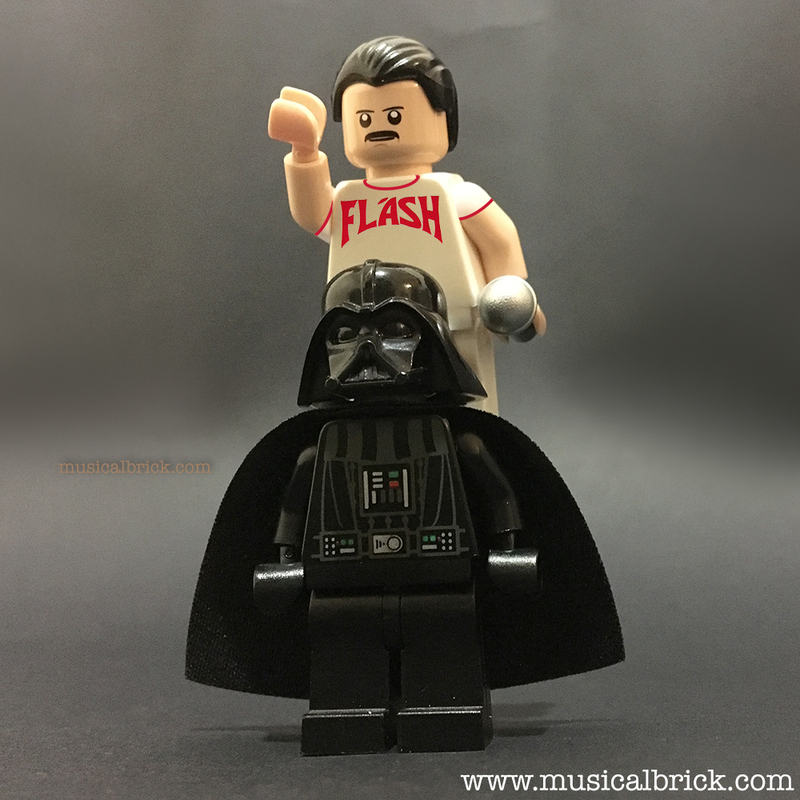 You are able to purchase a custom Freddie in his live at Wembley 1986 costume at www.minifigures.com. Although the cloak is not included as part of the set.